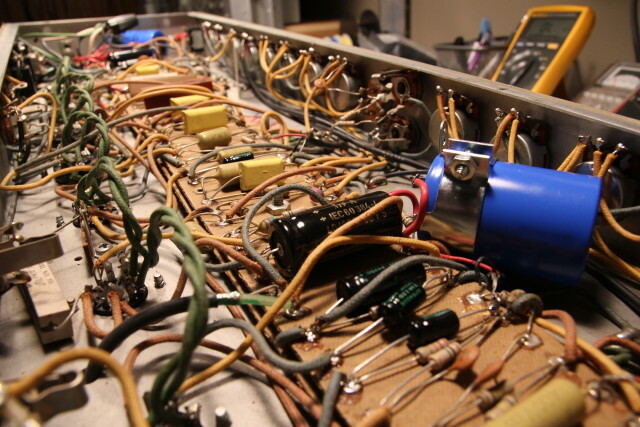 August 24th, 2015 posted under Amps. 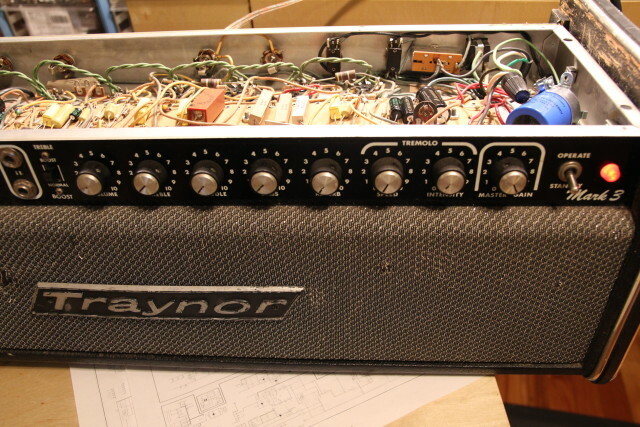 Traynor Amps​ vintage YGL-3A head in for new capacitors and a tune up. 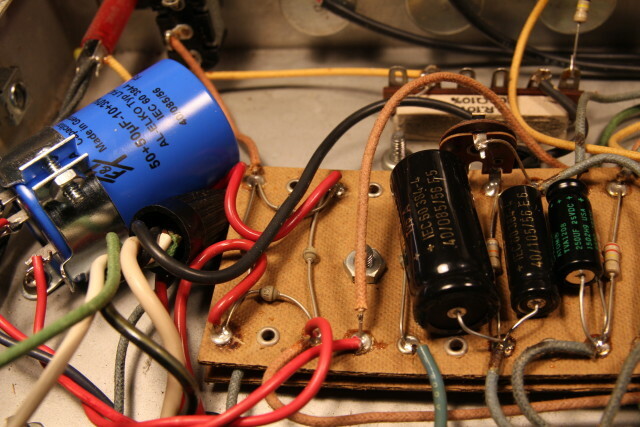 Gotta love how the top opens up on these amps!